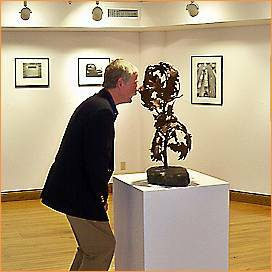 The Berkeley Arts Council (http://www.berkeleyartswv.org) and The Arts Centre (http://www.theartcentre.org) are joining forces to bring a juried art exhibit to The Arts Centre gallery in Martinsburg, WV. The exhibit will be held April 8 – May 1, 2011 in conjunction with the “Art and Earth Celebration” produced by ArtBerkeley, Inc. as an Earth Day observance. The exhibit, which will be produced by the Berkeley Arts Council, will have the theme “Art and Earth: My Art – My World. ” Artists in all media from throughout the Mid-Atlantic Region are asked to submit works that express their feelings about nature and the environment. The Juror for the exhibit will be Susan Bloom, Professor and Chair of the Art and Art History Department of McDaniels College in Westminster, Maryland. Ms Bloom is an accomplished teacher, artist, photographer and author. Details, including entry forms and the full schedule are posted on the Berkeley Arts Council web site (http://www.berkeleyartswv.org/juried_exhibit.php). For more information contact Rip Smith at 304-596-0873 or email berkeleyartswv@gmail.com. Weather Update – 1:20 pm Thurs. The Holiday Market will be closed for the rest of the afternoon. We also think people should stay home this evening and we are canceling the Arts in Education meeting set for 6:30. Watch for an email notice with more information. Note: The WVDCH Grants Workshop scheduled for today in Romney has been cancelled. It will be rescheduled. 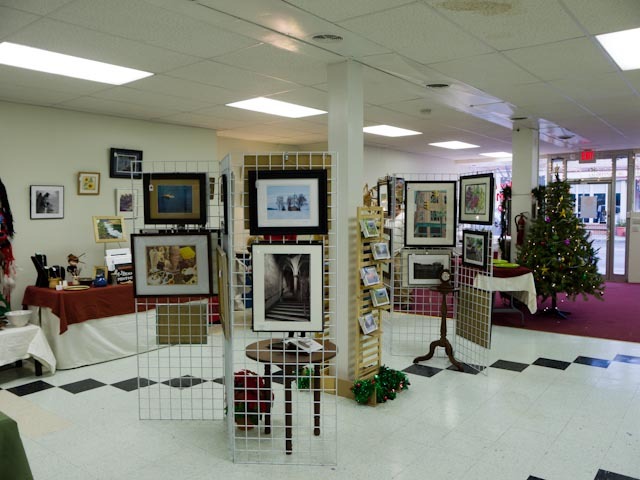 The Holiday Art and Craft Market was the subject of a feature article in The Journal today. This is the last five days of the market. We’re open 11-6 today (Wednesday) and Thursday, 11-8 Friday and Saturday, and 12-4 on Sunday. The Berkeley Arts Council will seek funding for the “Amplify the Arts” grant program for implementation in the fiscal year 2011-2012. The program will support smaller arts projects produced by organizations or individuals. Funding will be sought from various sources, including the West Virginia Division of Culture and History, for re-granting to the community. The Council is interested in hearing from Berkeley County artists, teachers, and organizations to determine the needs of the community for arts programs. We would like to receive preliminary proposals and letters of intent to apply, the purpose of which is to assess the needs of the community for this kind of support. We anticipate being able to fund projects up to $1,000 total budget. Interested organizations or individuals should send a one-page description of their project with preliminary budget and a brief statement of their qualifications to complete the project. Those who provide this input will receive the formal application package directly when funding is confirmed. 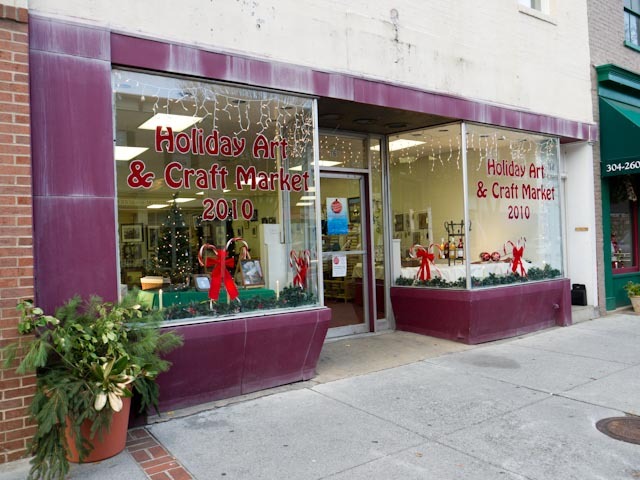 The Holiday Art and Craft Market is officially open! Come on down to 116 North Queen Street in Martinsburg for our reception starting at 5pm and shop from a selection of great work by 17 local artists and artisans. 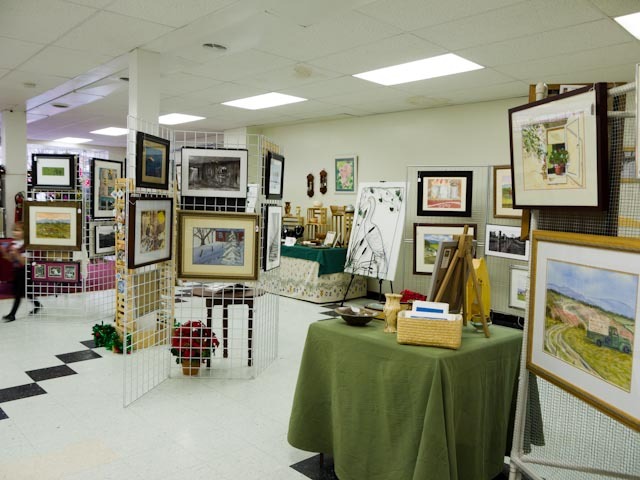 From beautiful stained glass and hand-made jewelry to a range of painting and fine art photography, you’ll find something for anyone. 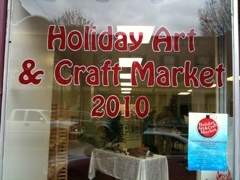 More details about the market are at on the Berkeley Arts Council Web Site. 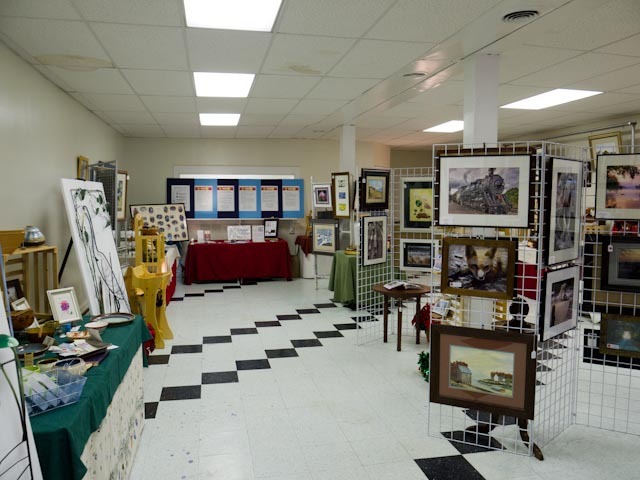 The Berkeley Arts Council wishes to congratulate two Berkeley County artists for having their work accepted in the West Virginia Art and Craft Guild Eighth Biennial Competition and Exhibit, which opened November 20 in Parkersburg. Sterling “Rip” Smith was awarded Honorable Mention for his photograph “View from the Court.” Smith had two additional images accepted for the exhibit. Lee Badger is a metal sculptor and furniture designer in Hedgesville. His studio is “Anvil Works. Lee Badger with "Woldgeist." Rip Smith's Image "View from the Court is in the background. The Holiday Art & Craft Market is coming together with great effort from people from ArtBerkeley, Heritage Craft Center, and the Berkeley Arts Council. Friday from 5-8pm at 116 North Queen Street in Martinsburg.